This concert will benefit Hello, Gorgeous! With David Taylor, assistant concertmaster of the Chicago Symphony! It's a small and intimate event - if you wish to attend and don't already have my address please contact me and I'll invite you! Spend three days this summer in a super-interactive day “camp”. You will learn and review fundamentals, participate in winding and scraping drills, play games and compete, and make more reeds than you ever though you could, all under the eye of expert reedmaker Jennet Ingle AND guest master reedmaker Gabriel Renteria. This recital is always fun. It's a chance for the SBSO principals to recombine into small groups and play music that WE choose. I'll be playing the Zemlinsky Humoreske with my quintet, and reprising a few movements of the Alyssa Morris Motion quartet that we presented on February's MfM concert. It's a day of oboe and bassoon fun and learning. I'll be leading at least one seminar and performing on the faculty recital. I'm delighted to present a conversation and mini recital to the ladies of the Northwest Indiana Symphony Society. 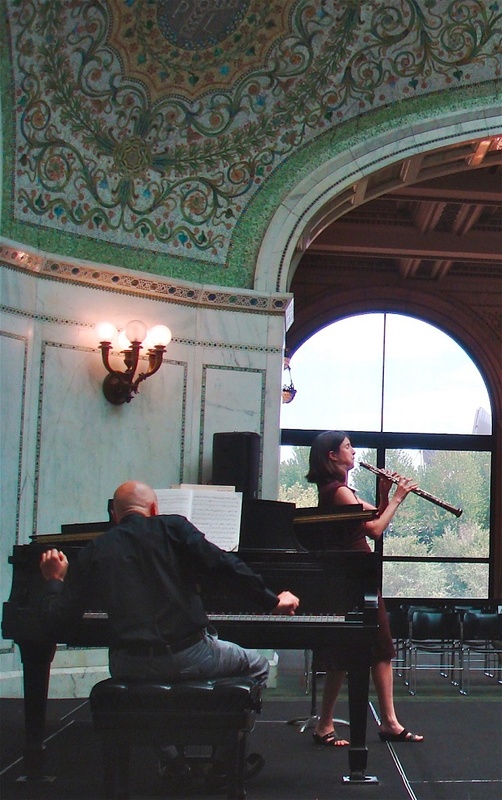 I could talk about the oboe all day, and this will be a lovely and elegant event.